Ships today if you order in the next 9 hours 59 minutes. We all want to keep our minds sharp and maintain a robust memory throughout the years. While conditions such as Alzheimer's are recent concerns, people have long used certain plants to help nourish the brain and promote clear, agile thinking well into the senior years. 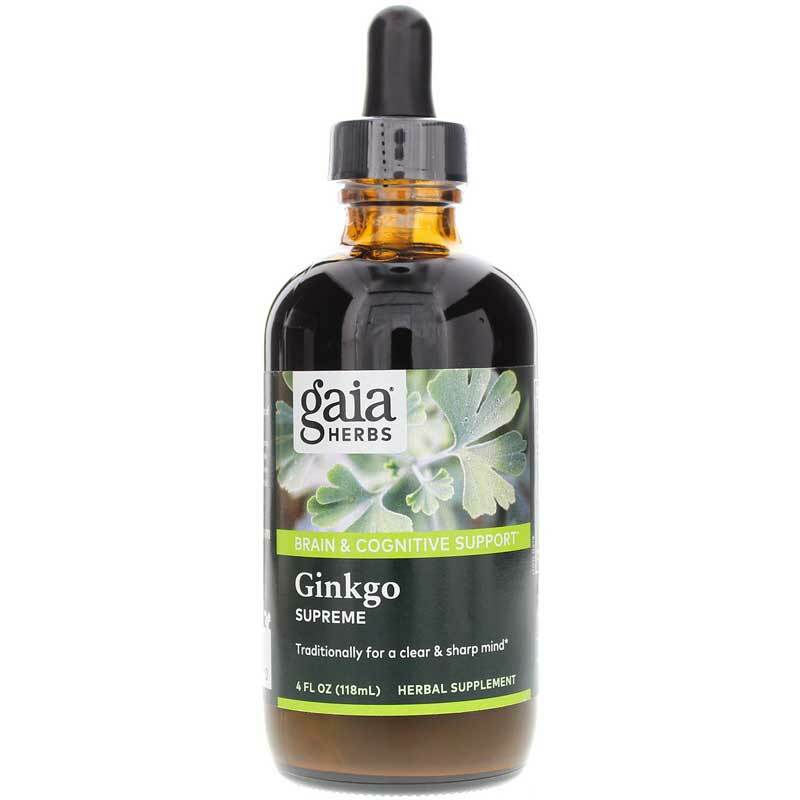 Ginkgo Gotu Kola Supreme from Gaia Herbs is a liquid dietary supplement that combines key cognitive support herbs that may offer natural antioxidant protection, promote healthy memory, support healthy cognitive function and help maintain nervous system health. Wild oats (avena sativa) milky tops - this soothing herb may support a healthy response to stress and promote nervous system health. Rich in B-vitamins, potassium and magnesium, which help support relaxation. Rosemary (rosmarinus officinalis) - has long been valued as a brain and memory support herb. Rosemary is high in potent antioxidants that may help protect the brain and support a healthy inflammatory response. 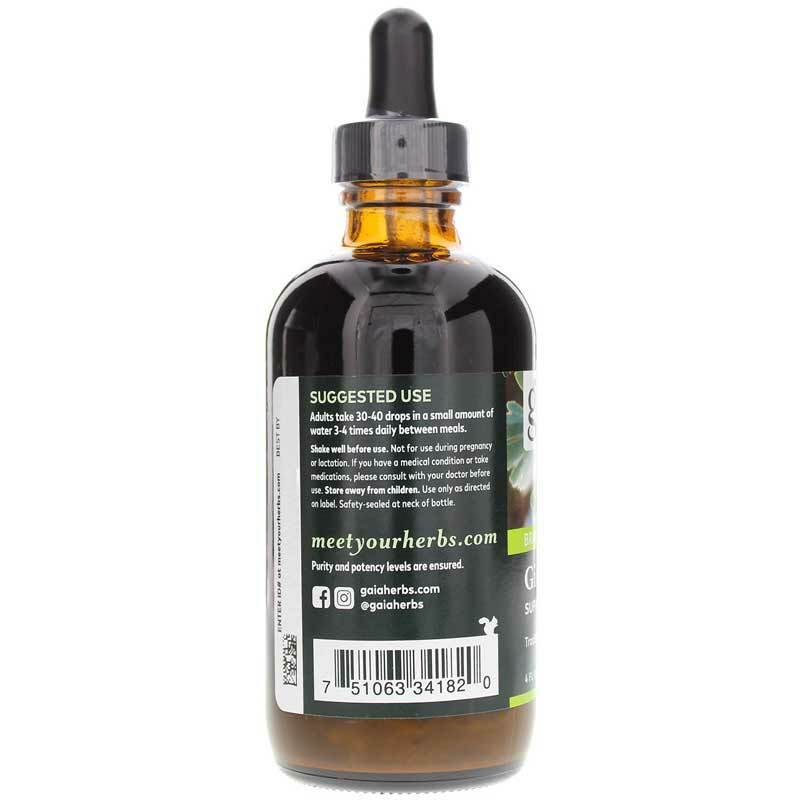 Just 30-40 drops of this liquid herbal extract in a small glass of water a few times a day can help you protect and nourish your brain so you can maintain normal, healthy memory and mental function, naturally. Order yours now! 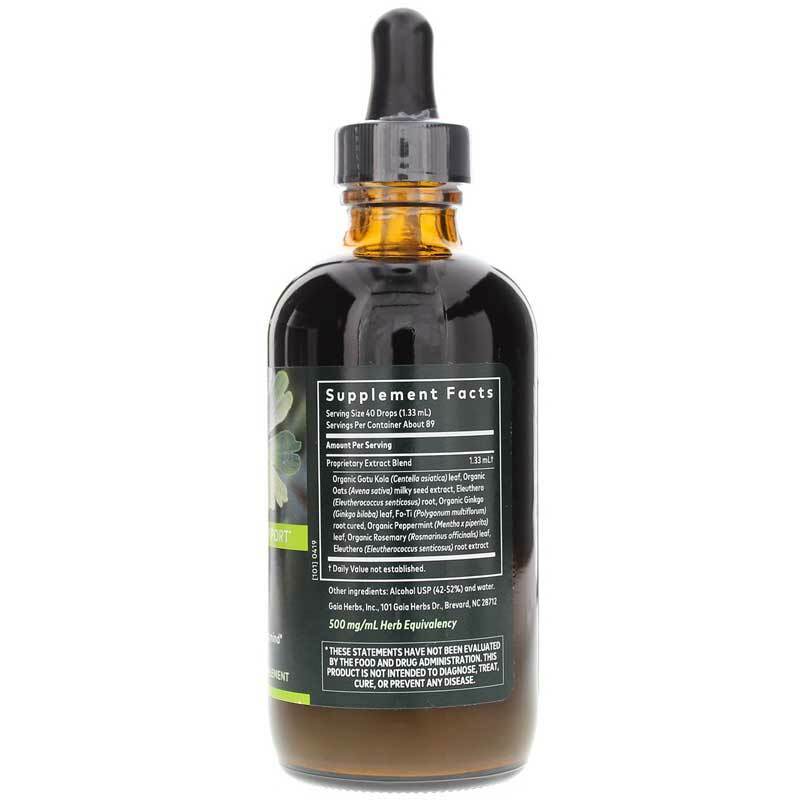 Adults: Take 30-40 drops of extract in a small amount of water 3 to 4 times daily between meals. Shake well before using. Do NOT use if you are pregnant or nursing. If you have a medical condition or take pharmaceutical drugs, please consult your doctor prior to use. Keep out of the reach of children.